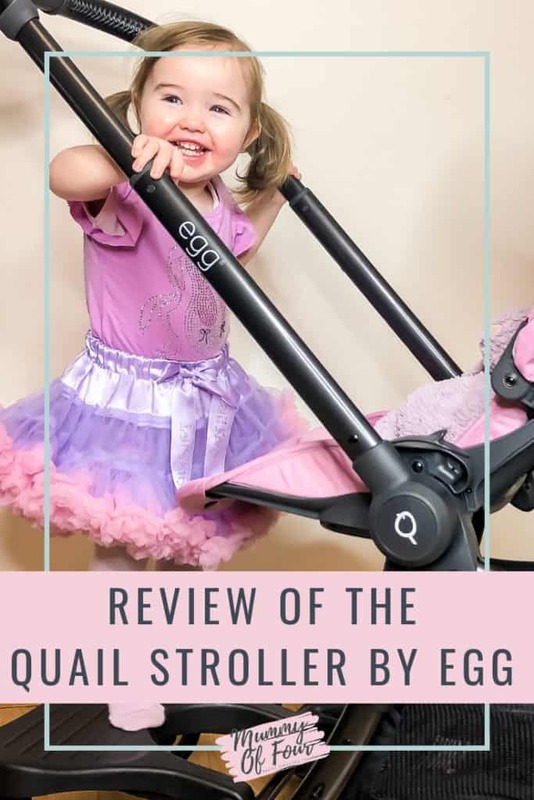 The Quail stroller from egg claims to be the ultimate compact and lightweight stroller, boasting luxurious fabrics and build quality, plus lots of additional features. 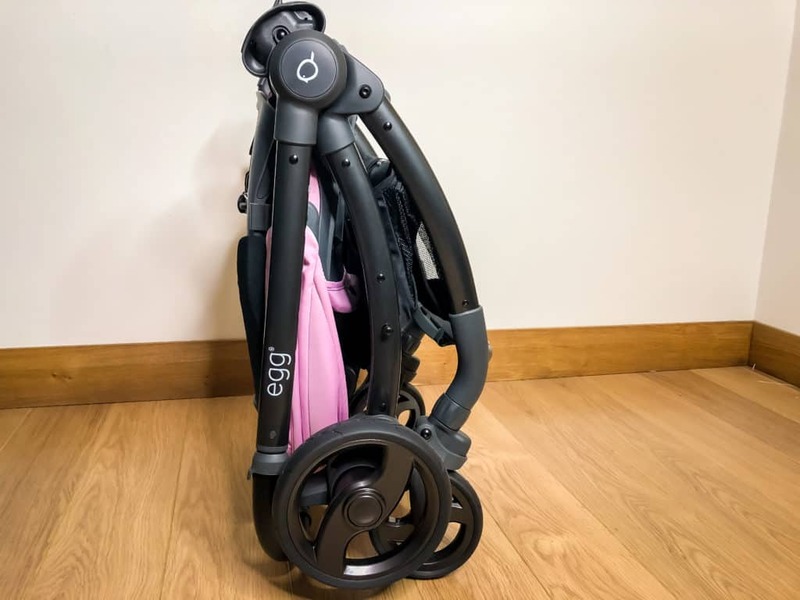 When I was asked if I would like to be gifted one in exchange for an honest review, I was excited and intrigued to take a look. Watch the video below or keep reading for my honest opinions about the Quail. Here are the technical specifications from the manufacturer, you know, the essential dimensions and things that will help you decide important things like if it will fit in your car. 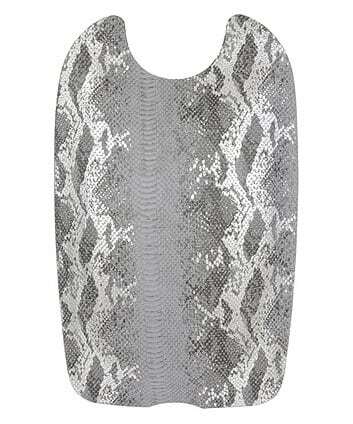 The Quail is available in 4 colour options; Latte, Gotham Black, Strictly Pink and Quantum Grey. 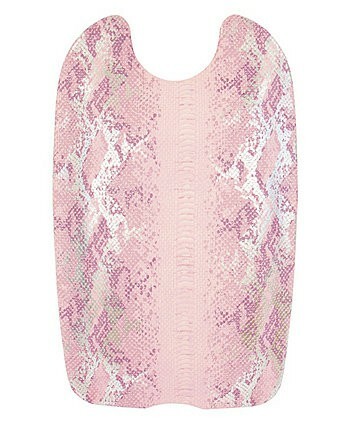 As I have a bit of a thing for pink, I obviously opted for strictly pink. If you click the video below, you can see me unboxing the Quail live on YouTube. Now you will have to forgive the 2 baby brain moments I have during this live; one where I cannot figure out how to collapse the handle (which, as you will see in the rest of this post, is ridiculously easy) and a second where I couldn’t understand how to attach the ride on board (spoiler alert, there was another small box containing connectors in the box that I hadn’t seen). 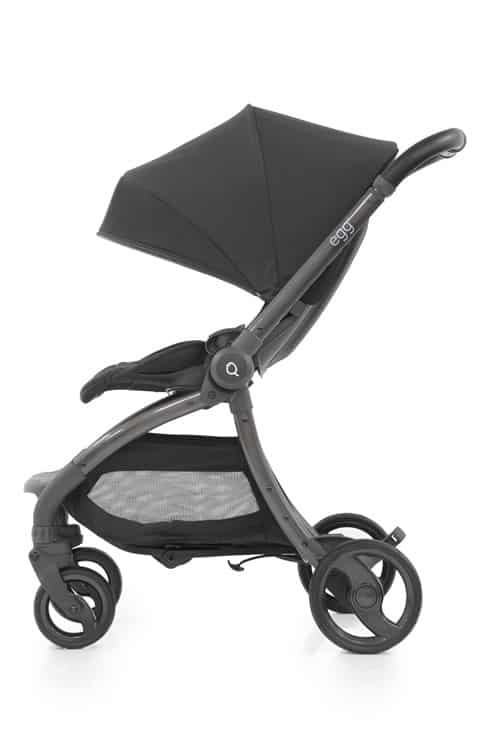 This really is a beautiful pushchair. 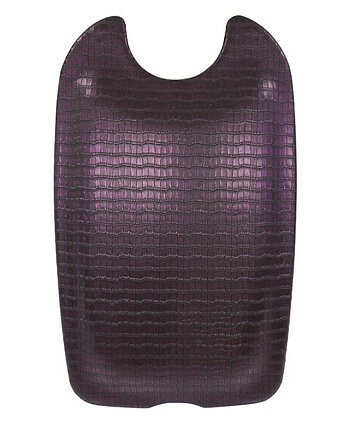 I adore the colour and the design is sleek and elegant. 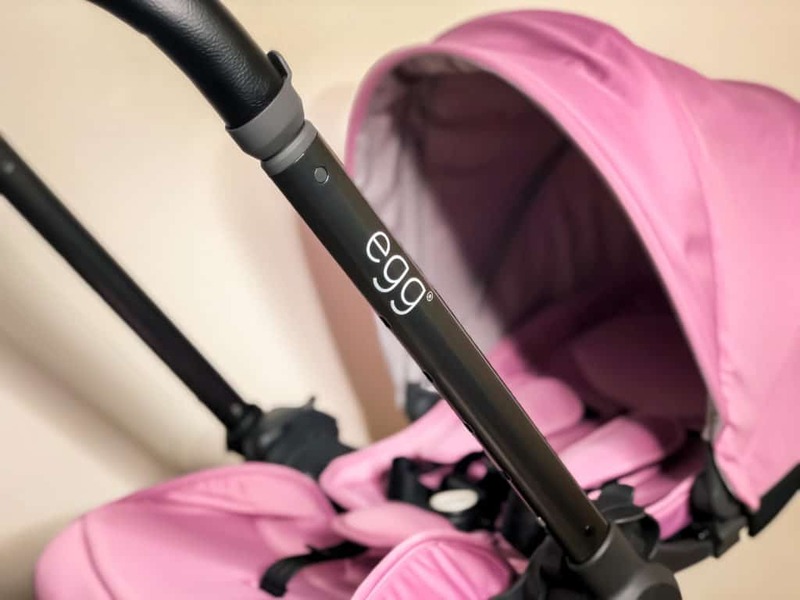 But what I realised as I explored and began to use the pushchair is that it’s not just attractive, but designed with so many features to make parents’ lives easier too. The Quail is not only a comfortable ride for your baby, but easy for you to use day to day too. 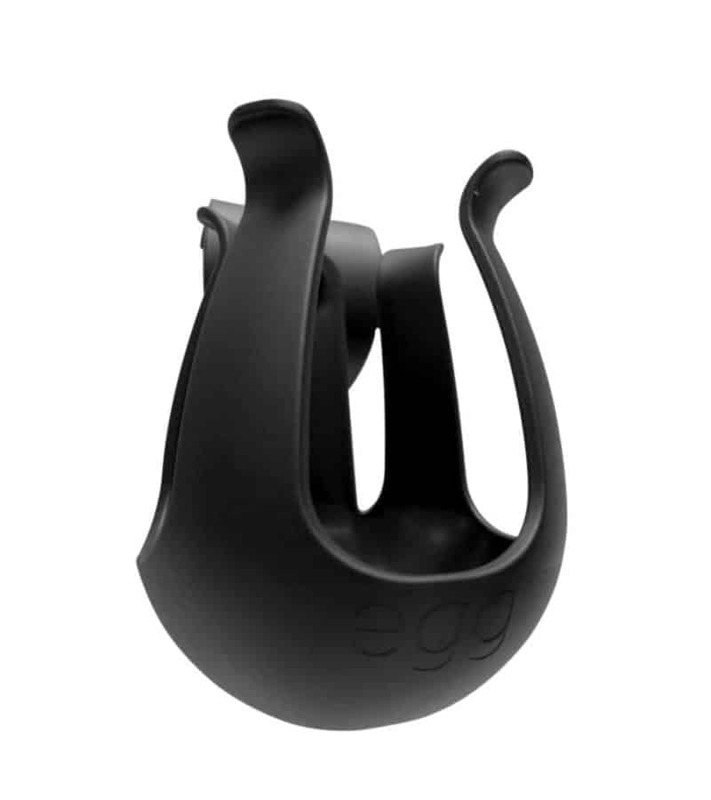 The buckle on the harness is one hand release and designed to incorporate the iconic egg design. The tyres are puncture proof and have this lovely Quail footprint detail, very cute. 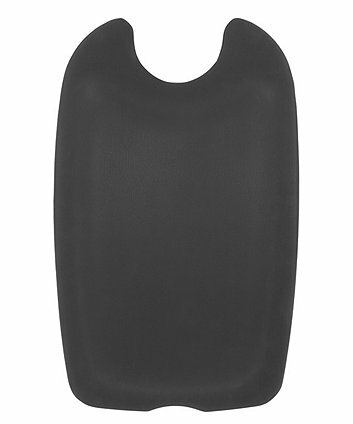 The seat is easy to recline with just one hand (not a standard feature with all pushchairs). 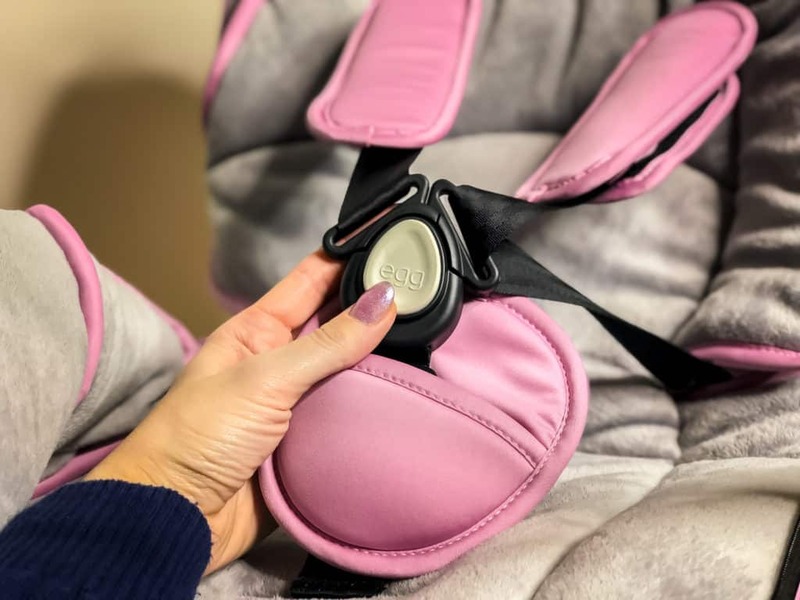 The recline is smooth (essential for if your little one has already fallen asleep) and reclines all the way to a lie-flat position, making it suitable from birth. 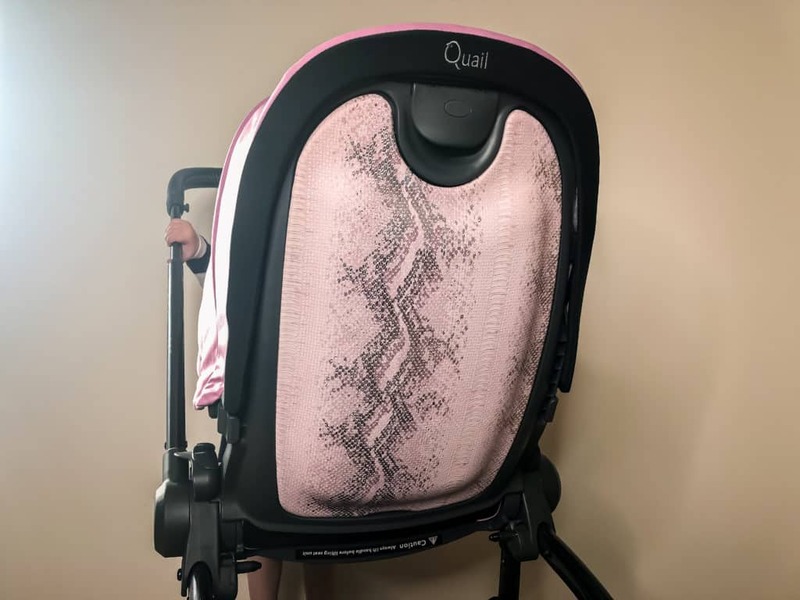 I was impressed with how very easy it is to adjust the seat for the height of your child. 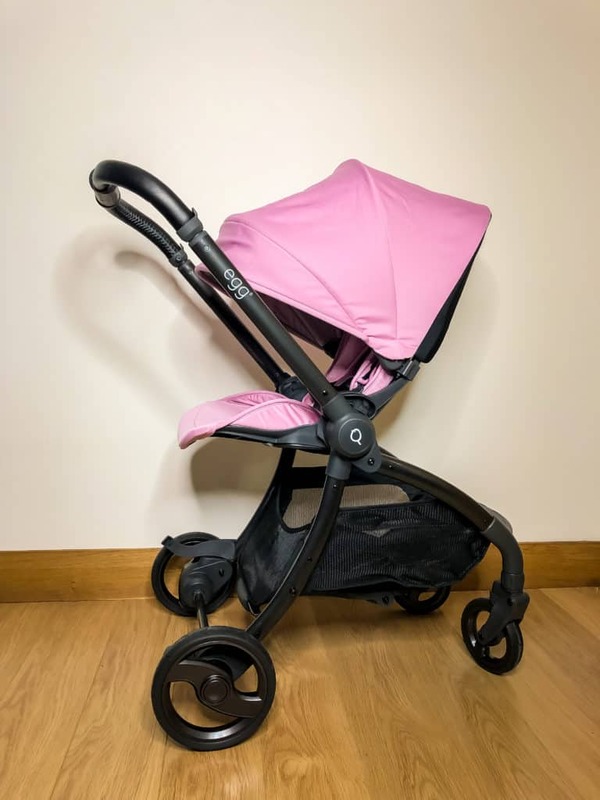 Most strollers offer various strap heights, but adjusting them is often a bit of an ordeal that involves threading straps through gaps in the seat. 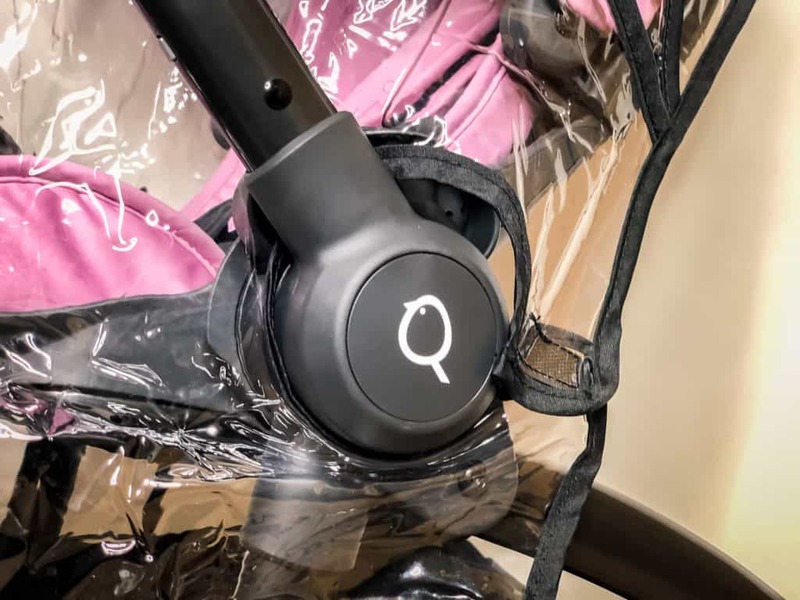 The Quail, however, makes seat adjustments quick and simple. 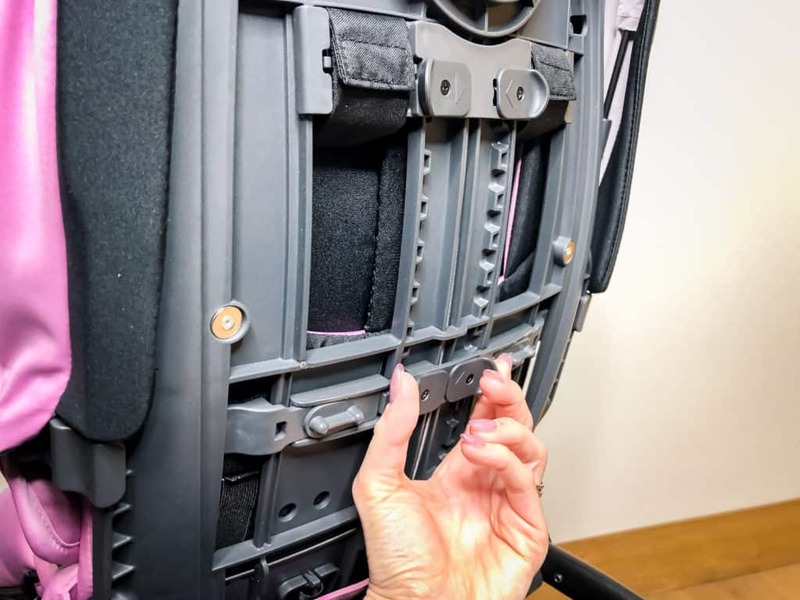 Squeezing the top adjustor raisies and lowers the straps, while the lower adjuster can raise and lower the hood. 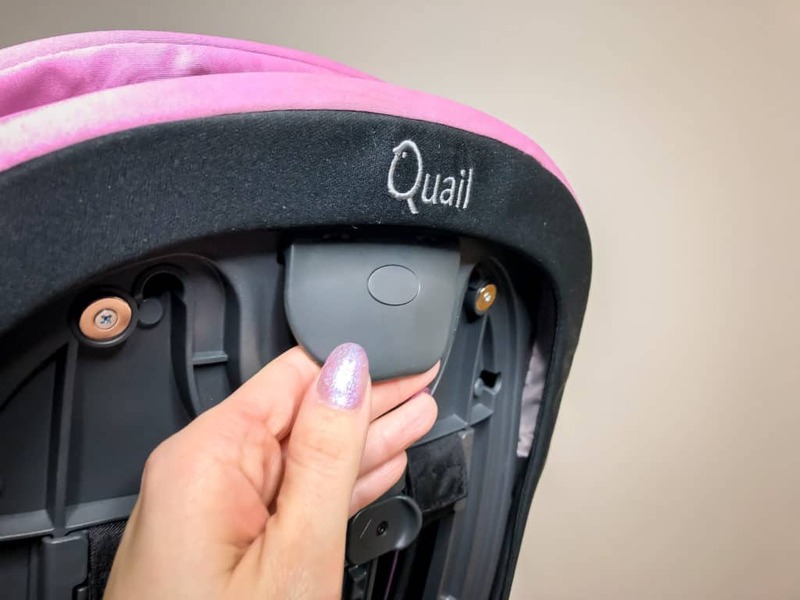 This feature will come in especially handy if you have more than one child using the pushchair from day to day. When a younger sibling gets out and an older sibling gets in, for example, the seat can be made to accomoate them in seconds. This is not a feature that I have had before and I can see how it will be hugely beneficial to so many families. 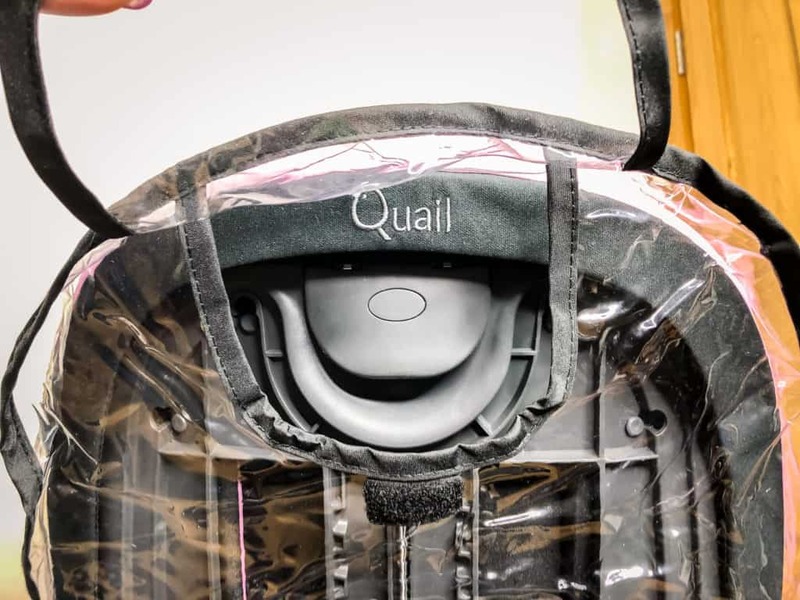 The Quail has a clever back magnetic back panel that covers all of the mechanisms at the back. Even better? 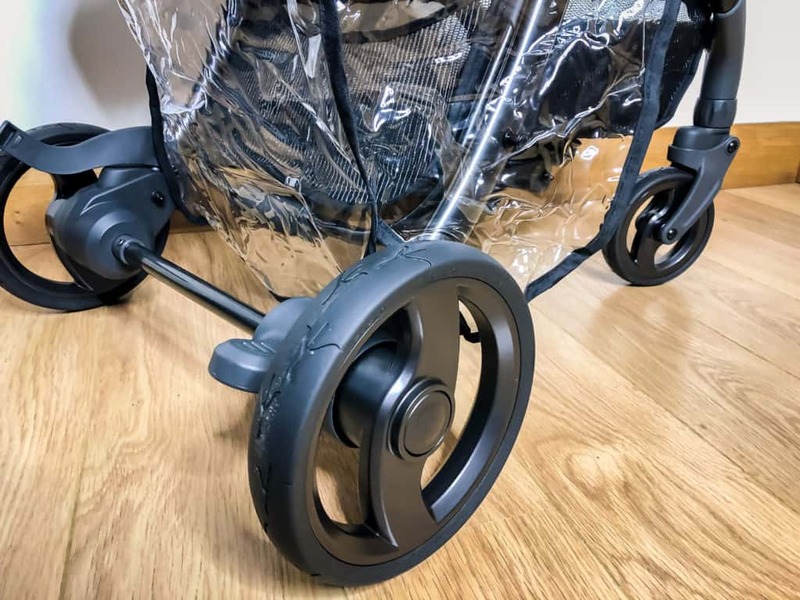 There is a selection of colours to choose from, so you can totally personalise and change the look of your pushchair. 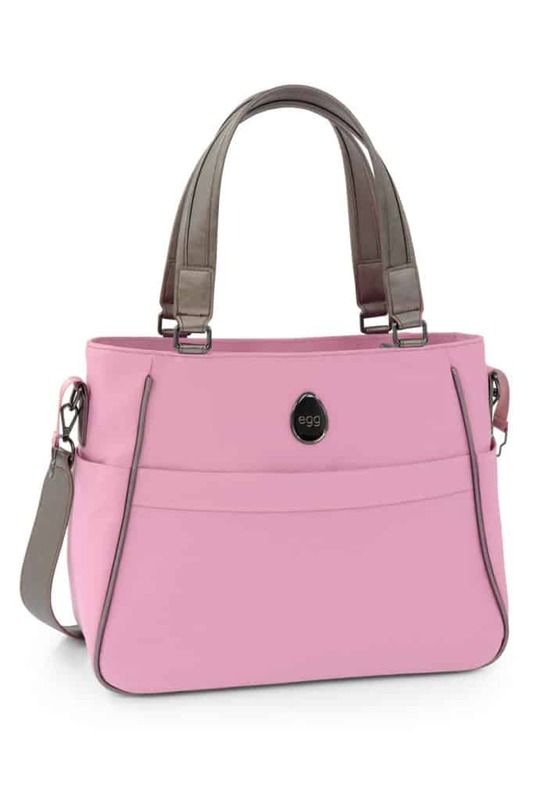 I went for pink (obviously), but there are plenty of colours to suit your mood. 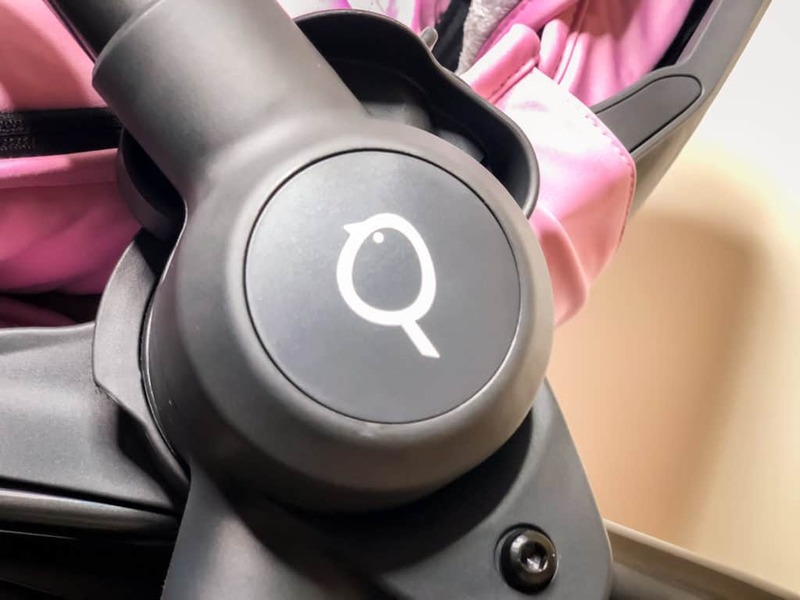 The Quail has an impressive height range when it comes to the handlebar, with the highest setting far exceeding any other pushchair that I’ve owned. Handle height is not a huge issue for me (I’m only 5′ 4″) but my husband, who is over 6 feet tall, appriciates this featurw. The handlebar height can be easily adjusted by turning the barrel in the centre of the handlebar towards the baby. I also love that the handlebar has these stoppers on the sides. 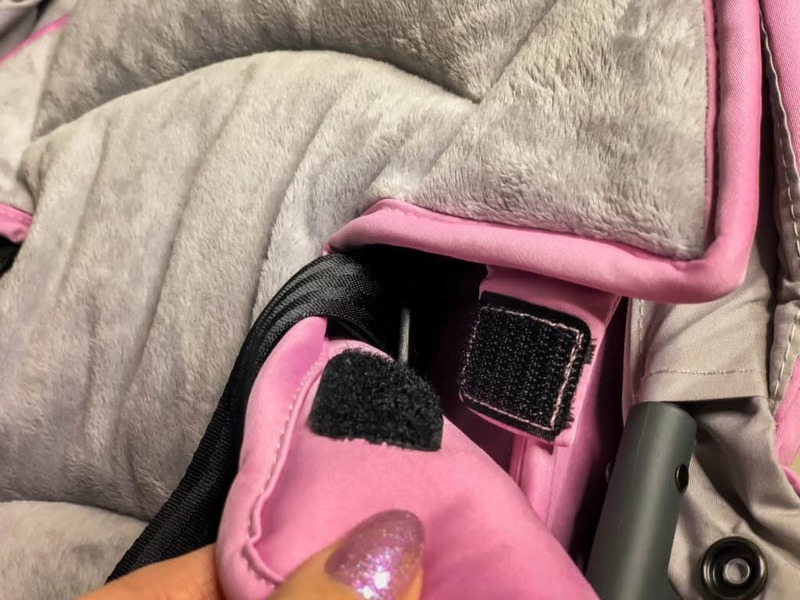 “What are they for?” I hear you ask, Well, they are to stop your changing bag sliding down and into your baby when it’s hung over the handle. Genius. To fold the Quail, first raise the footrest up to meet the seat, then fold the seat forward and all the way down to the position shown below. 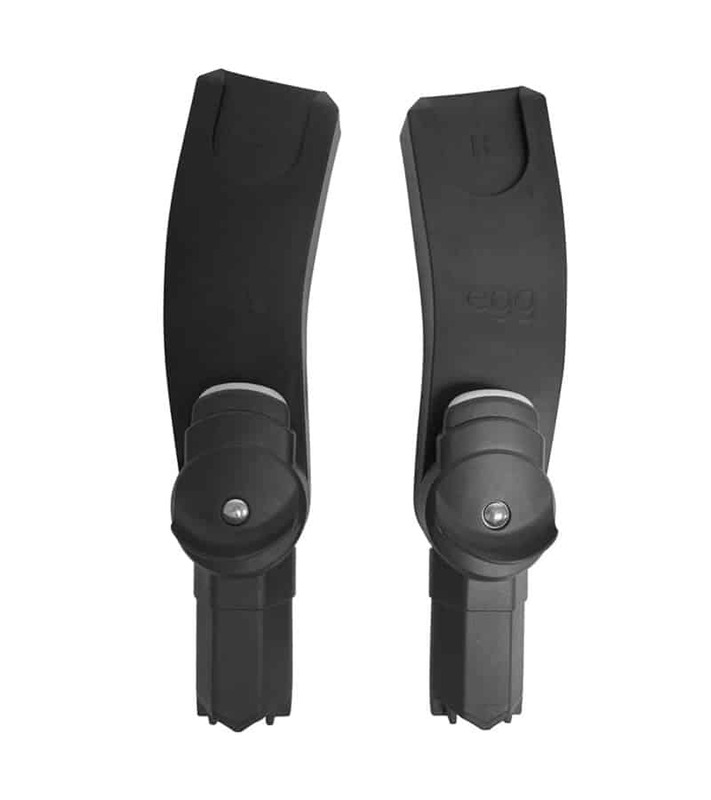 Next lower the handlebar by turning the barrel backwards towards you, which will released the handlebar for folding. During the live unboxing, I couldn’t seem to figure out how to do this for some reason, but in reality, it’s simple – I just wasn’t turning the barrel back enough. Doh. 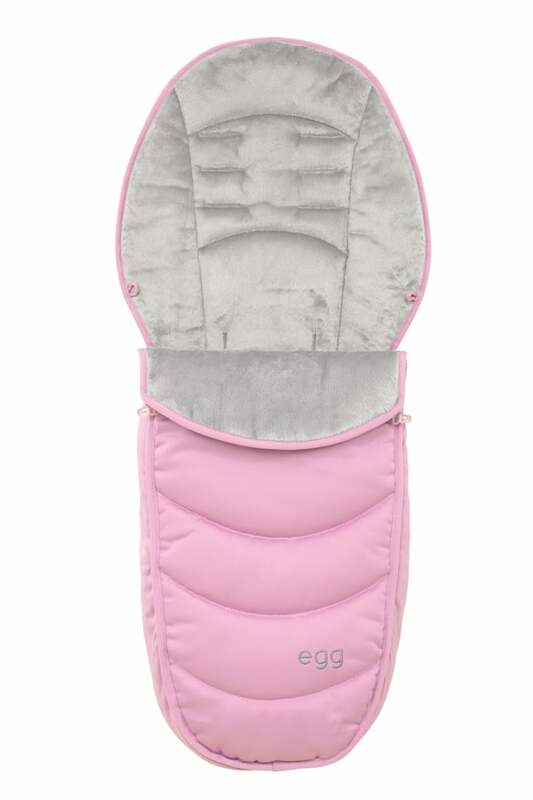 The final step of the fold is to squeeze the button in the basket as shown above, then pulling the centre of the basket up into the folded position as shown below. At each stage of the fold, the clips natrually engage to keep everything in place. The Quail is freestandign when folded. 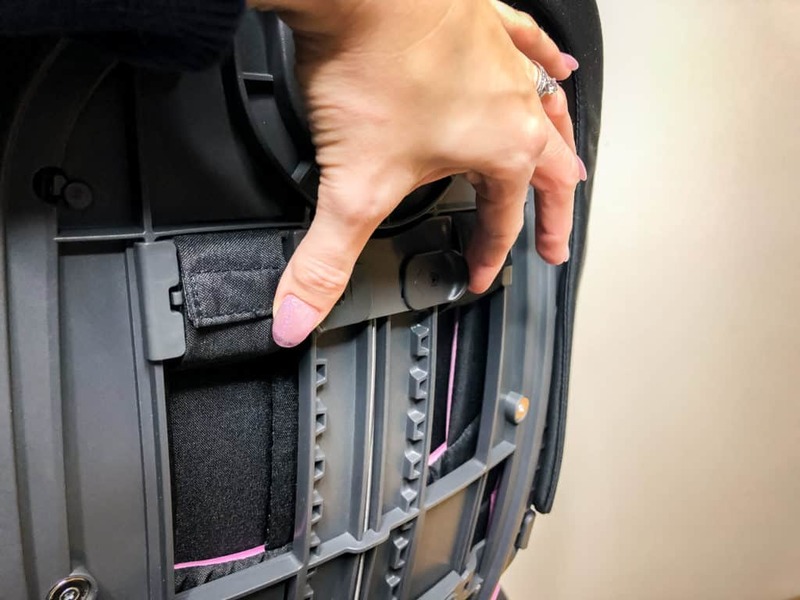 To unfold the pushchair you simply reverse the process by first unclipping and releasing the frame, then the handlebar before unfolding the seat. 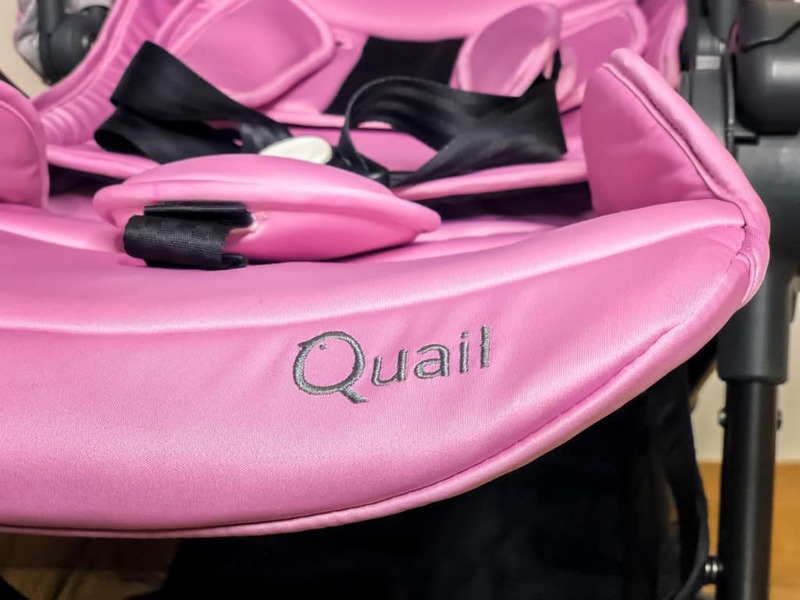 The of all the Quail’s impressive features, this has to be the most important – the Quail folds with the seat still in parent facing mode. I cannot emphasise enough how much time this saves me daily. 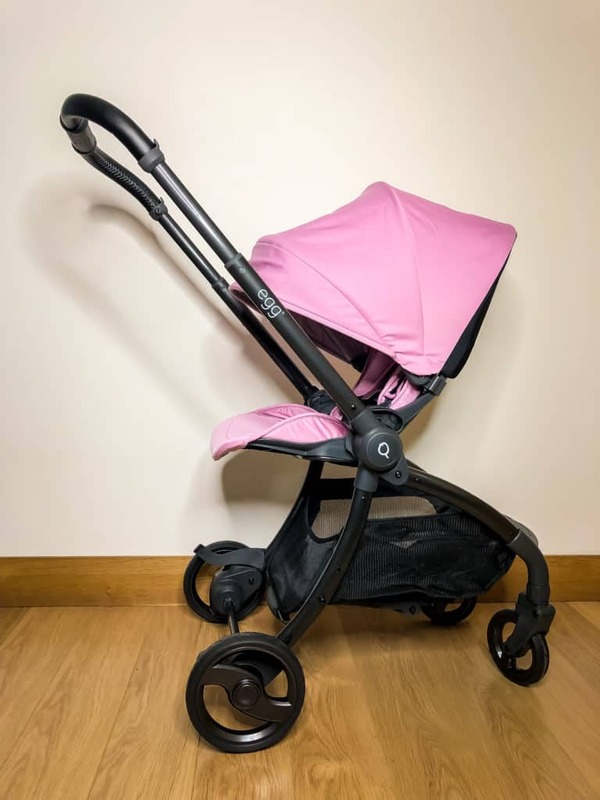 I have had a pushchair that folded with the seat in world-facing mode before, which saved space buy meant that I had to reconfigure the pram everything it was used. I’ve also had one that did not fold with the seat on it at all. 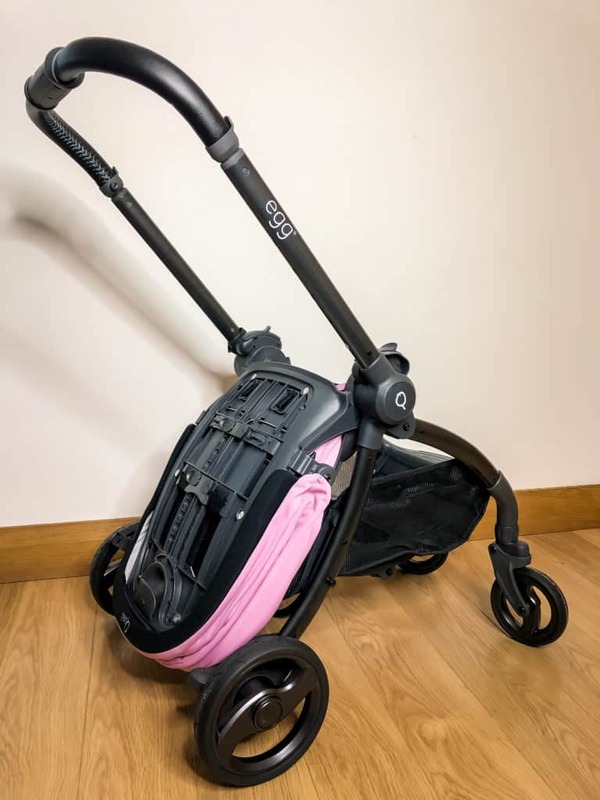 As a Mum with 2 children in full time school and one in half day nursery, I currently do 3 school runs a day, meaning that my youngest is in and out of the pram 3-4 times daily. 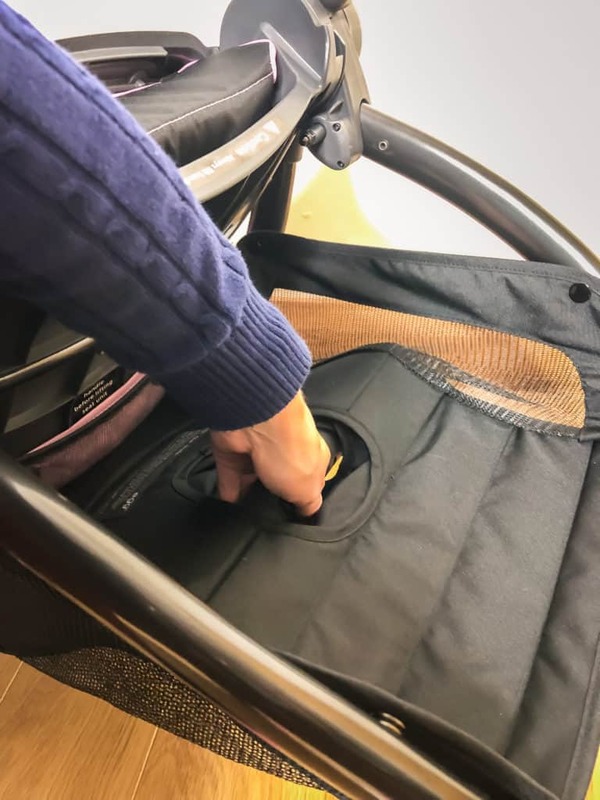 Being able to fold the pushchair in the mode in which I use it shaves valuable minutes off each and every time that I get in and out of the car. Seriously game changing. 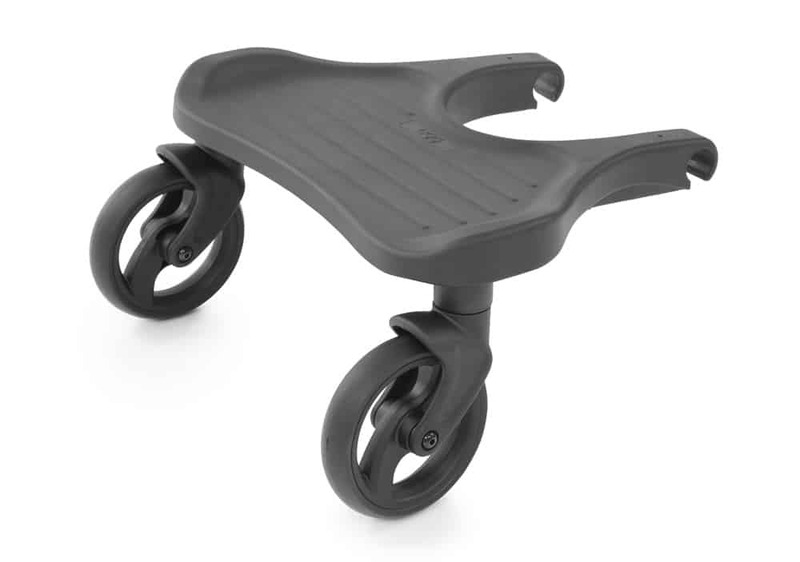 Now I’ll be honest, I didn’t have high hopes for how smooth this pushchair would be. 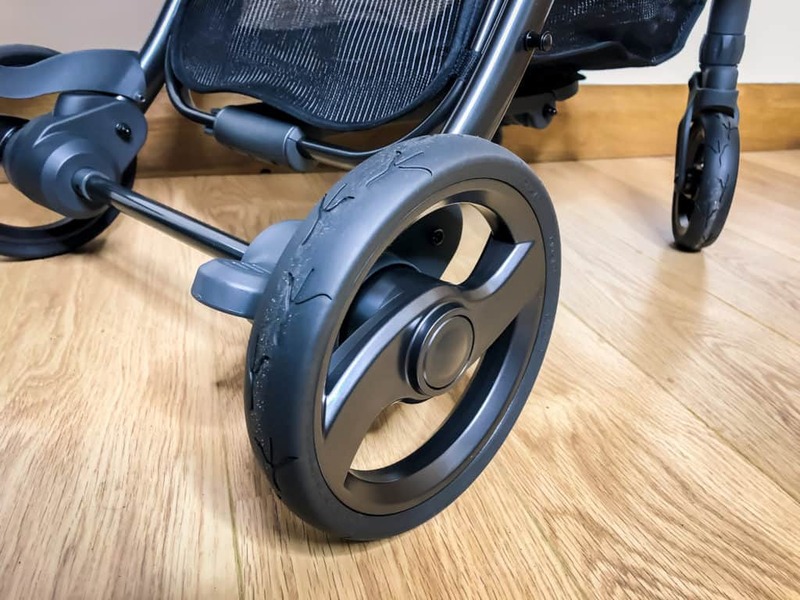 I was coming from a pushchair with much larger wheels and in my experience, larger wheels generally make for an easier push and smoother ride. Well, how wrong was I? The Quail pushes like a dream. 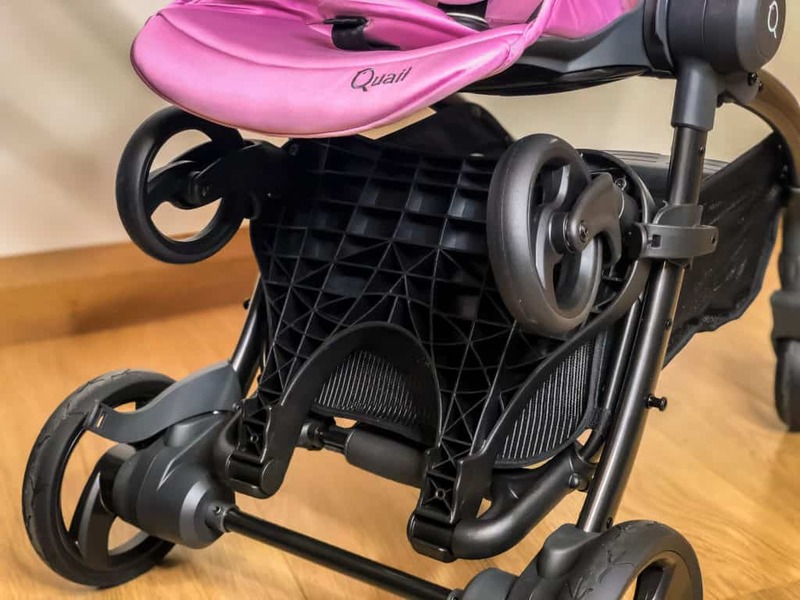 It boasts “true ride technology” which is clearly not just marketing jargon, as the stroller is so smooth, both on the flat and when tackling curbs. It’s literally a one-handed push and turns almost on the spot. The only way to appreciate this for yourself is to test drive (or test push?) one for yourselves. 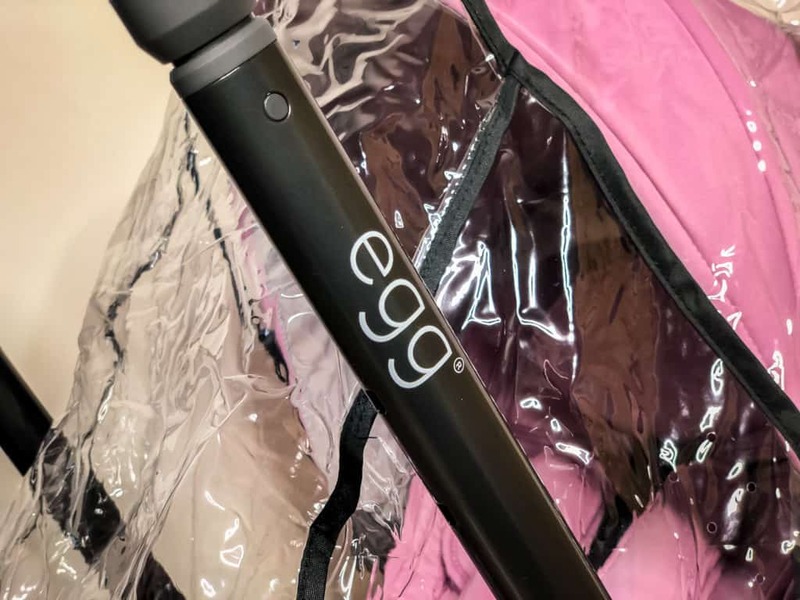 There is a list of stockists on the egg website where you can get your hands on one to play with. 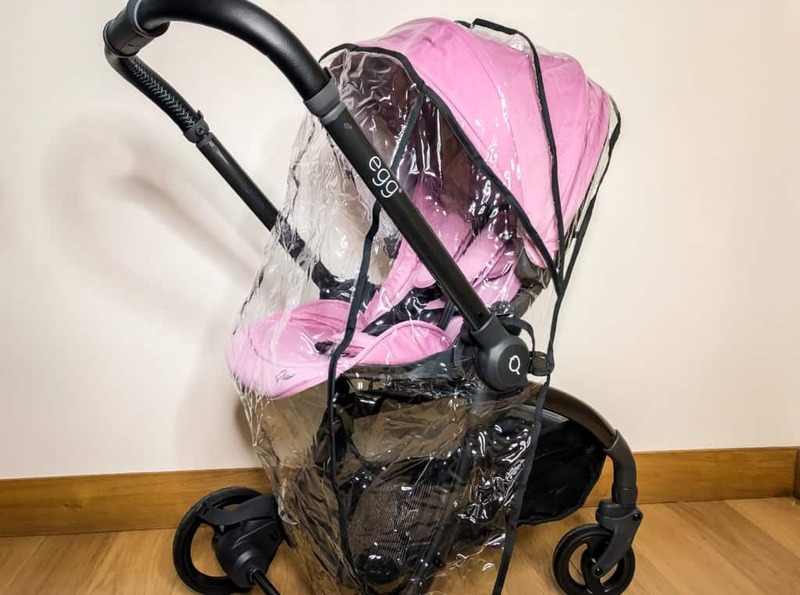 The rain covers fit neatly over the pram, but are not too snug like they have been with other prams I have owned. 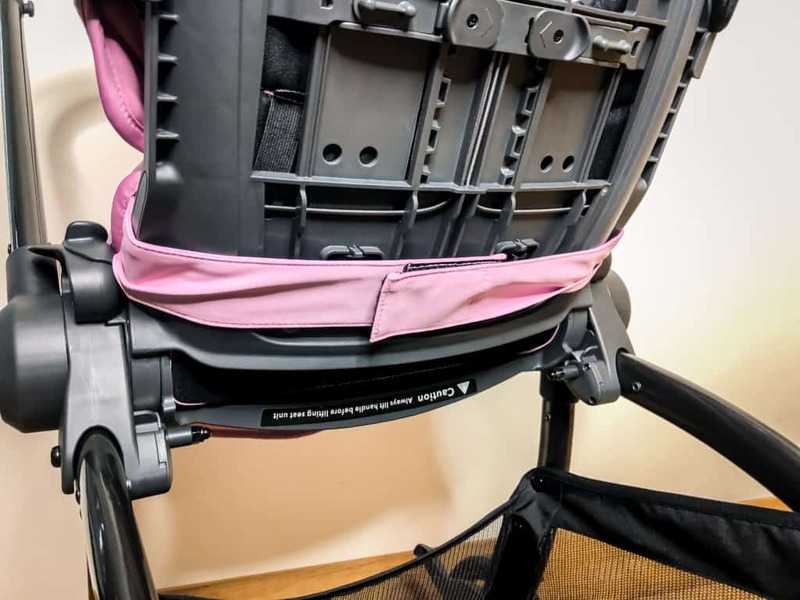 I also like that they cover the back of the seat as well as the baby, protecting the pram from the elements and preventing you from having to put it into the car wet. They are well designed do that you can still access the recline lever easily. 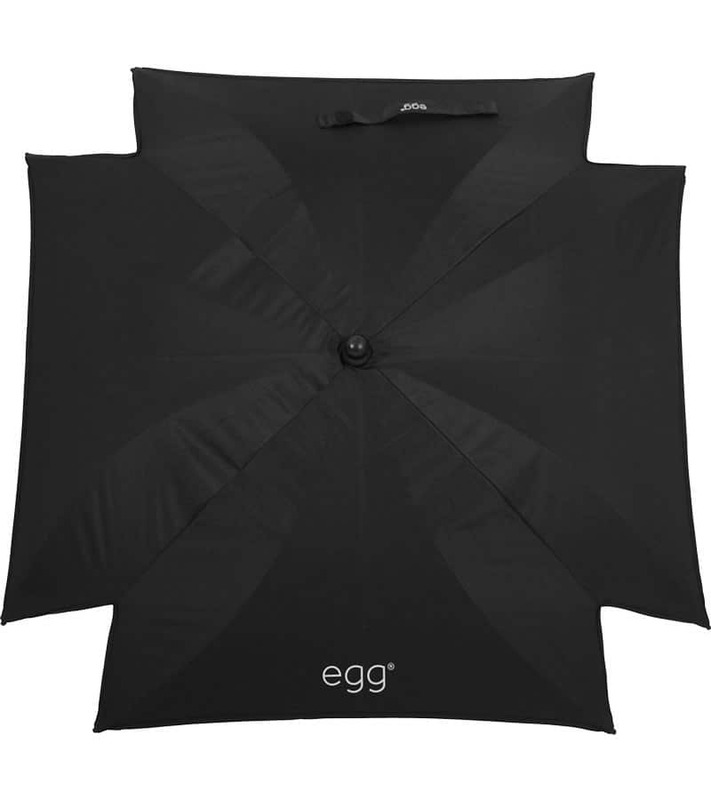 Still, overall they are better than rain covers that came with previous prams, some of which were so useless that I had to purchase separate covers anyway. I have been sent the footmuff and ride on board to look at, which I talk about below. 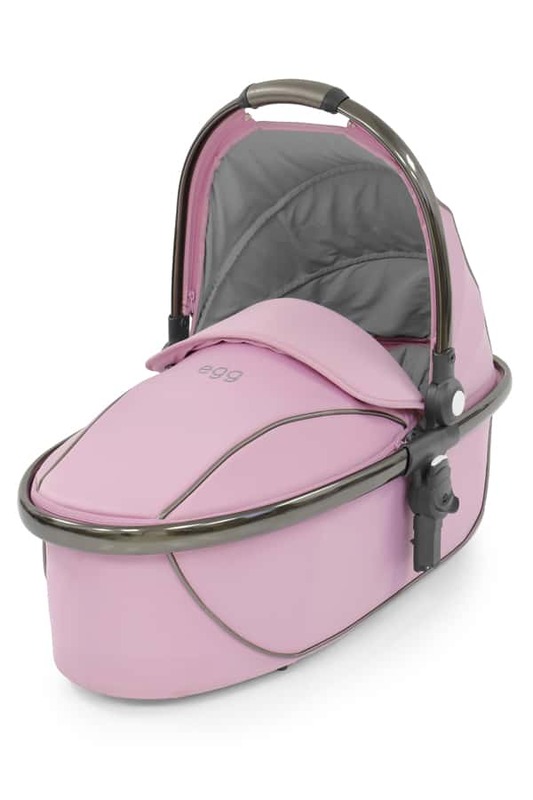 Sadly I no longer have a newborn, so have no need for the carry cot, car seat adapters or newborn insert (*sobs*). 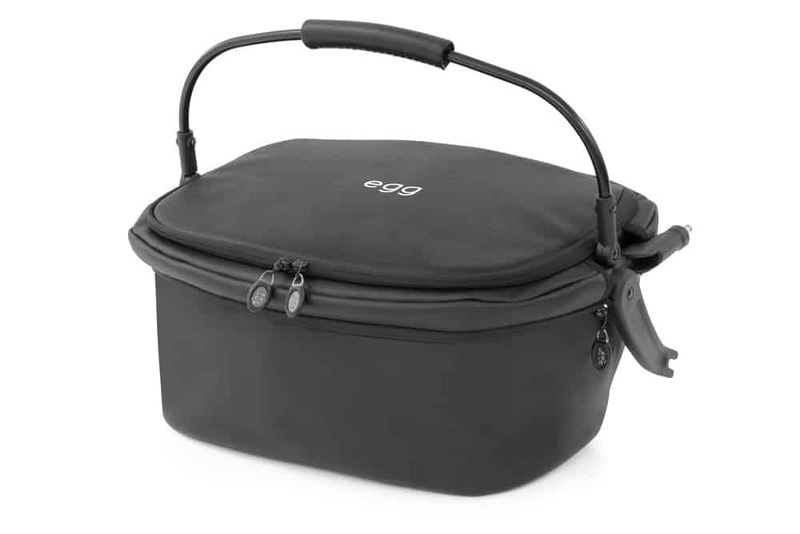 I would imagine that the thermal shopping basket would come in handy and like the look of the changing bags, but have not had my hands on them to review them for you properly. 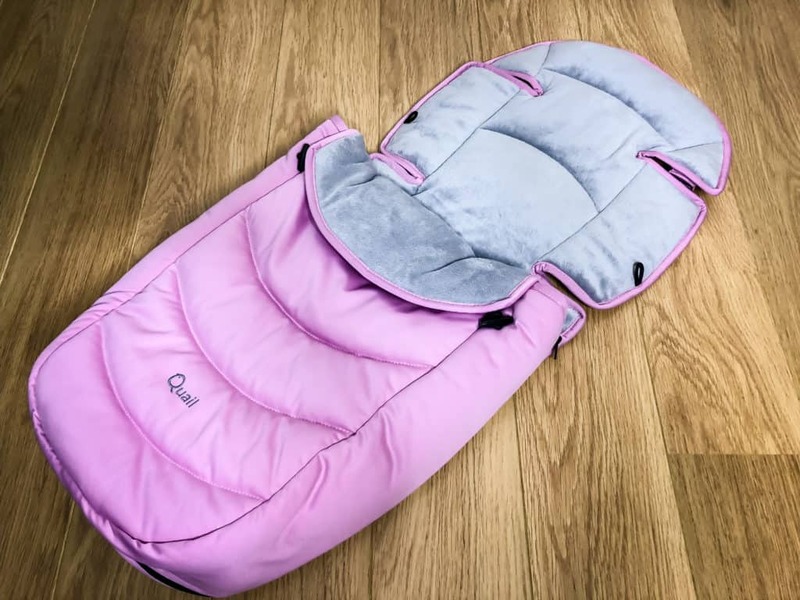 The footmuff is warm and snuggly for your little one and really is beautifully made. 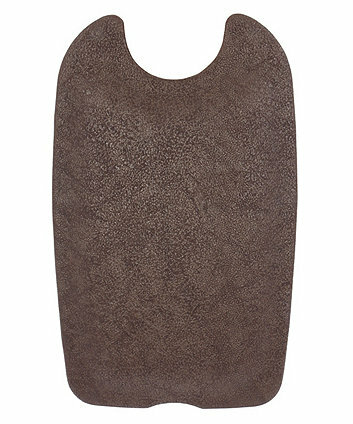 The apron unzips to leave the Quail with just the seat liner portion if desired. I especially liked the way I which the footmuff attached to the pram. So many other footmuffs that I have had spent their entire time slipping out of place. The fact that the care has been taken to avoid this and keep the footmuff neat and tidy and in place really is commendable. 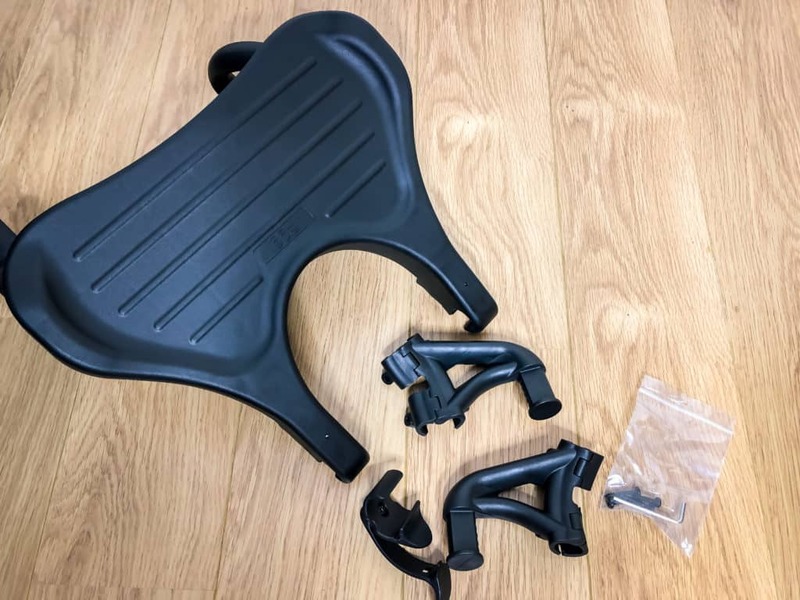 The ride on board comes in two boxes; the board itself and the connector kit that attaches to the pram. 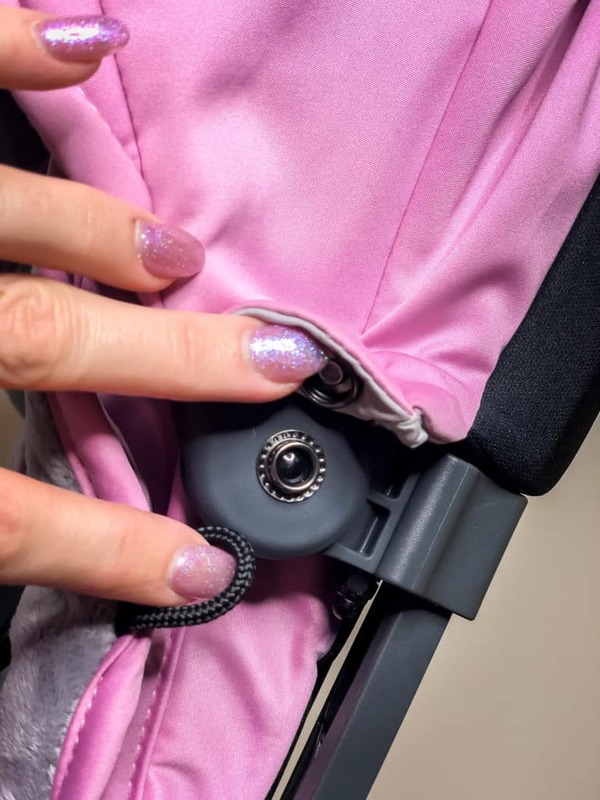 The connectors are attached with 4 simple screws and an Alan key (all included) and live on the stroller even when the board is not in use. I love that the board can be clipped out of the way when your little one is not on it. 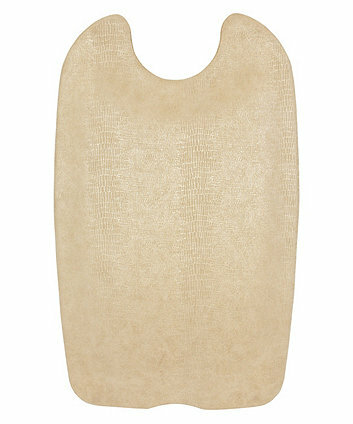 As far as I am concerned, even if you only have one child, a ride on board is essential. 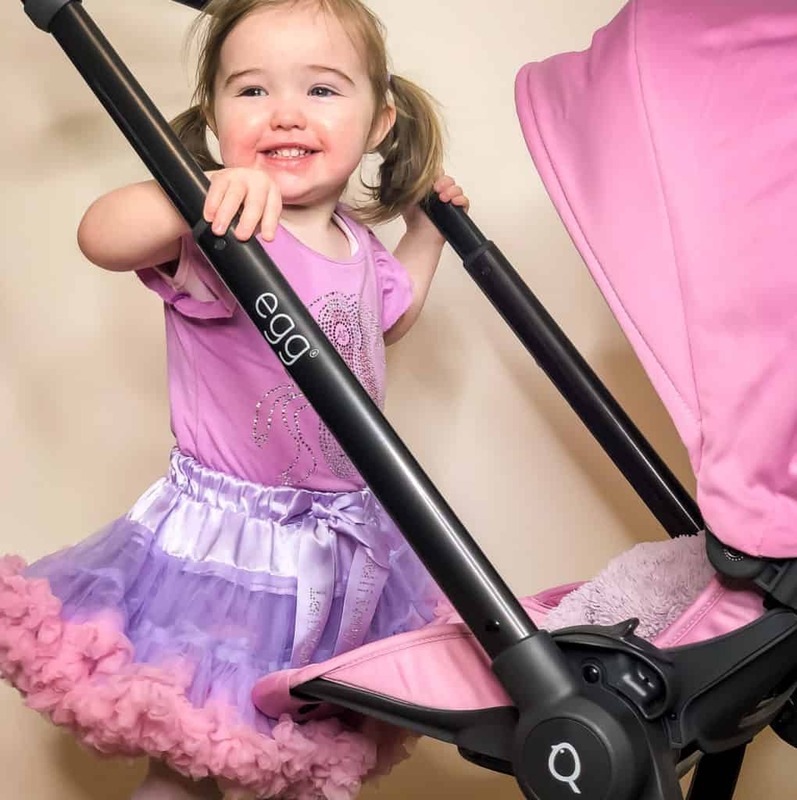 Zara is now at the stage where she does not always want to sit in the pram but is happy with the more “grown-up” option to stand on the board. 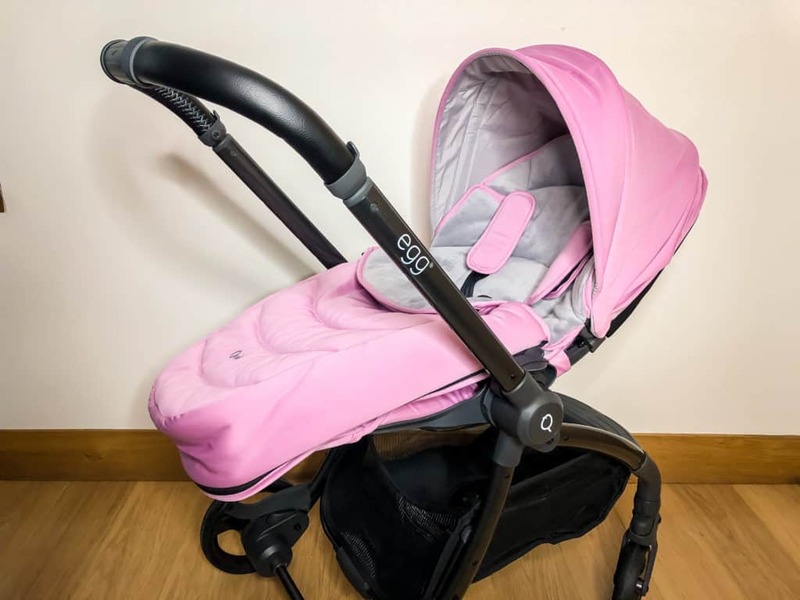 This means that I am able to keep her safe, use the pram to trasport the changing bag plus any shopping, and still have the ption to put her in the pram when she becomes difficult of tired. I am totally in love with the Quail. 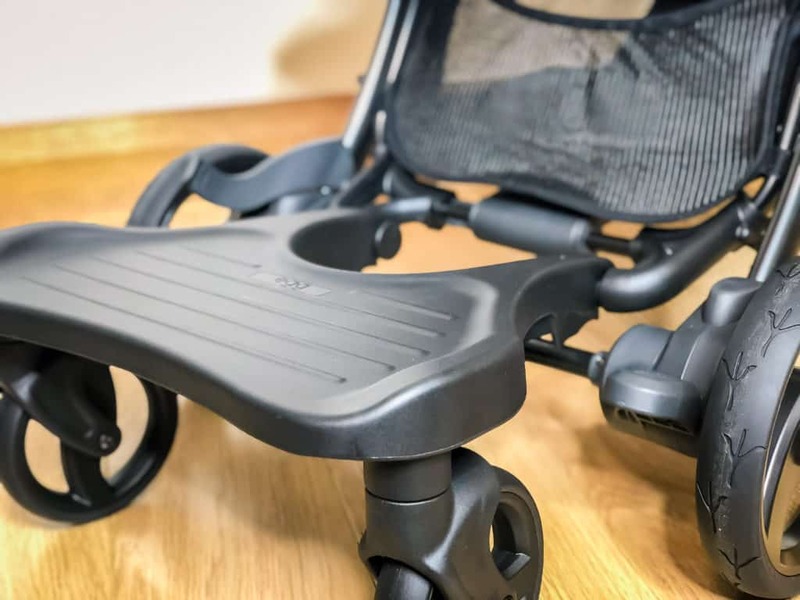 It is beautifully designed and I love the colour, but the stand out feature for me has to be that it folds in one piece in parent facing mode. I cannot tell you how much easier this makes my day to day life.